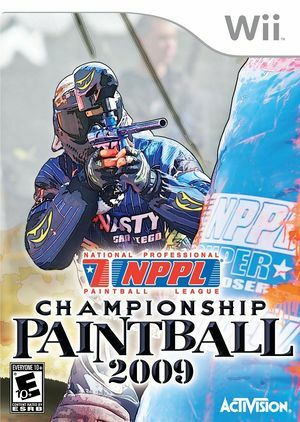 The intensity of first-person-shooters and extreme sports collide in NPPL Championship Paintball 2009 (Millennium Series Championship Paintball 2009 in Europe). Feel the adrenaline of intense tournament and woodsball action like never before as you take your game to the next level. With the most authentic and realistic paintball game to date, you'll feel like you're right in the action. Realistic ballistics and physics attributes applied to bunkers and paintball trajectories All-new field creator feature allows you to design your very own unique field layouts. The graph below charts the compatibility with NPPL Championship Paintball 2009 since Dolphin's 2.0 release, listing revisions only where a compatibility change occurred. This page was last edited on 15 February 2018, at 07:38.